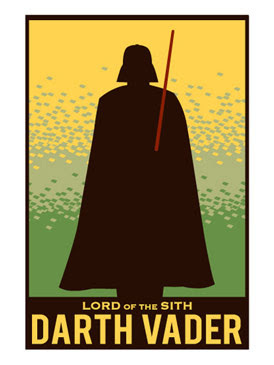 AcmeArchivesDirect has a second version of the Dark Vader, Lord of the Sith silk screen print now available. The design is based on this vintage image: www.allposters.com/-sp/Sandeman-Port-The-Famous-Silhouette-Posters_i1869720_.htm . Vader just seemed to be a good fit. There is a feature on my end of things when setting up the print that I was unaware of until now.